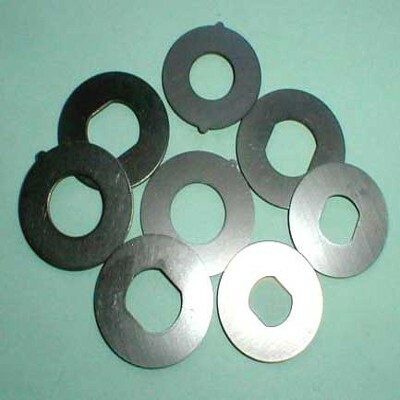 Dhankot Traders is a well-organized company that deals in manufacturing and supplying extensive array of HSFG Washer. It is precisely engineered from premium quality materials and other allied components. Further, our entire ranges are extremely acclaimed for their rugged construction, high performance, robust construction, abrasion resistance and longevity. Available in reasonable prices, our HSFG Washers are used by various application areas like Airports, Railway Bridges, Commercial Complex, Parking, etc. Our products are also manufactured by us in custom-made designs that are available in different specifications as per the client’s requirement. These are offered by us in various brands like “ATUL” & “UNBRAKO”. So, our company is listed at the top as one amongst the prominent Manufacturers, Exporters and Wholesale Hsfg Washer Suppliers from Chennai (Tamil Nadu), India.